The Atelier Wine Bottle Glass which holds over a full bottle of wine. Standing at approximately 24cm in height and with a capacity of 800mls The glass is shaped to specifically enhance the aromas of your wine. 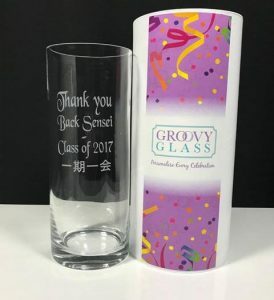 In addition to serving your wine many are using these glasses for spirit drinks as well. This glass is packed in its own white cylinder which makes it great for presentation. Our Atelier Wine Bottle Glass a beautiful shaped wine glass. Holding over 800mls of wine this glass is very impressive. 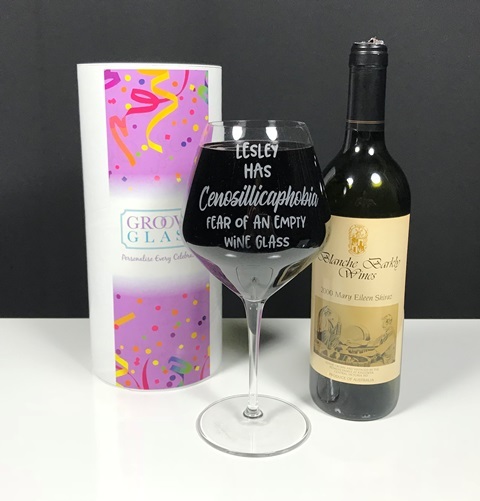 This glass fits a full bottle of wine. 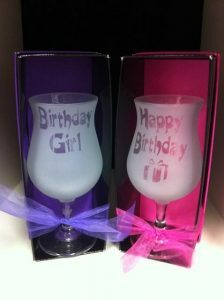 Standing at 24cm in height, these glasses make a great celebration gift for that milestone birthday or anniversary. 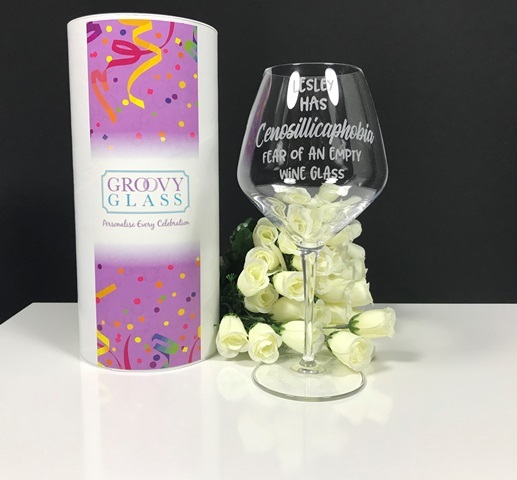 Or just a fun gift for that crazy wine loving friend. 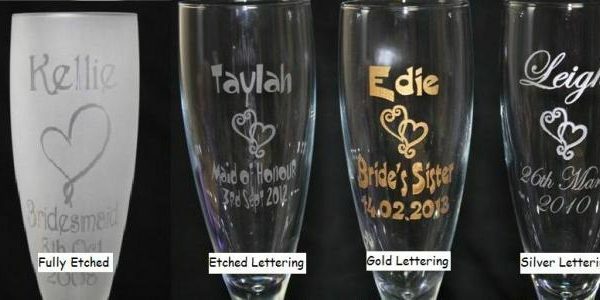 Select from our vast range of fonts and graphics to personalise your gift. 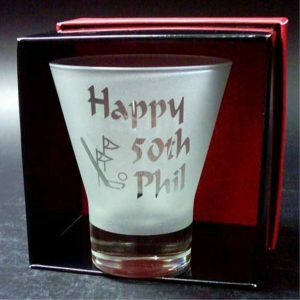 These glasses come gift boxed in our cylinder tube. Once your order has been received we will provide a detailed art proof for your approval prior to the commencement of production. Please allow 7 business days after art approval for production.